Plus: Payless is closing up shop in North America. Sen. Bernie Sanders (I-VT) is making a second run for the White House. 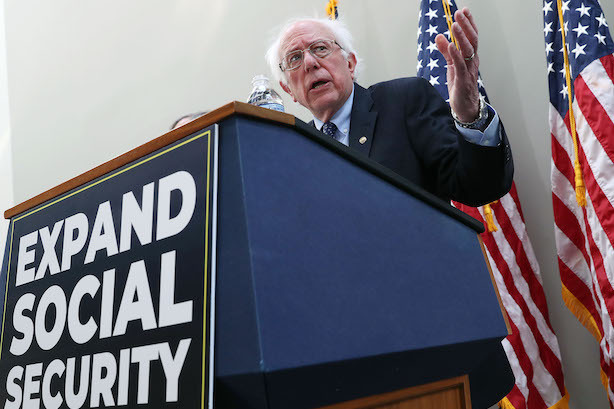 Vermont Public Radio got the scoop on Sanders’ plans in an early morning interview after word leaked to Politico this weekend that the 2016 upstart had recorded an announcement video. Sanders also sat for a Tuesday interview with "CBS This Morning." Meanwhile, President Donald Trump is also beefing up his strategy and communications team with a possible Republican primary challenge looming. Communications director Tim Murtaugh, press secretary Kayleigh McEnany, and strategic communications director Marc Lotter have joined Trump’s re-election team, according to The Wall Street Journal. State Department spokesperson Heather Nauert has withdrawn from consideration to become the next ambassador to the U.N. A background check had found that Nauert had once employed an immigrant nanny who was in the U.S. legally but was not authorized to work, according to Bloomberg. Payless is planning to close all 2,100 North American locations and to shutter its online store by late spring. The company could also file for Chapter 11 bankruptcy for the second time in as many years this month, according to Reuters. Flashback: two months ago, Payless refitted a former Armani store in Santa Monica, California, with price-hiked pairs of shoes and rebranded the pop-up as "Paylessi." British lawmakers have accused Facebook of behaving like "digital gangsters" by violating competition and data privacy laws and accusing CEO Mark Zuckerberg of "contempt" towards Parliament for not showing up for hearings. Their report also raised questions about Facebook’s crisis management ability, noting that Zuckerberg was kept out of the loop about the Cambridge Analytica scandal by a trio of senior managers.